SERVICED office provider Citibase has officially launched its new business centre in the heart of Liverpool. Citibase Liverpool Moorfields at the recently-refurbished Centric House has over 27,000 sq ft of affordable serviced office space. 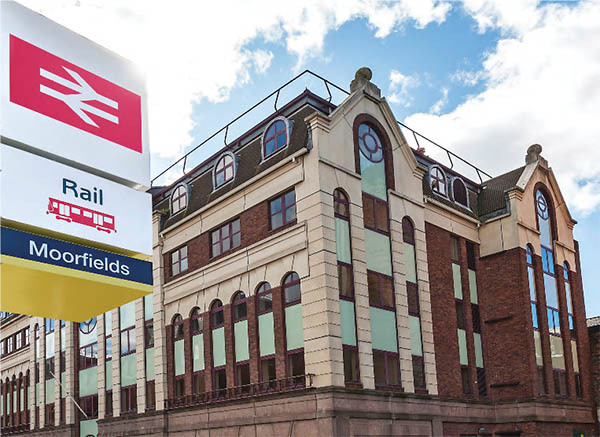 The five storey property, just over the road from Liverpool Moorfields station, is the fifth North West business centre in the company’s fast-expanding portfolio. Citibase is managing the property on behalf of building owner CERT Property who acquired it for £3.3 million earlier this year. The new hub will be able to offer a vibrant home for over 450 SMEs, start-ups, entrepreneurs. Find out more about Centric House at 15-33 Moorfields in Liverpool. This entry was posted in Merseyside. Bookmark the permalink.